If you are looking for an honest and highly reliable van hire service then welcome to Man with Vans. We have been providing a professional service to all of our satisfied clients for several years, and we promise to keep to our established reputation by offering you the same quality of service. Whether you need removal van hire to take care of your home removal, or just to move some rubbish away from your property, we can supply you with the most suitable vehicle for your needs. We pride ourselves on providing a quality first class service by listening to you our customer in order to evaluate your requirements. We are proud to have the most dedicated team of staff working for us and you, no request are too much for them and they will always strive to give you 100% of what you require. Our assorted fleet of removal vehicles that we have will cater for just about any requirements that come our way and with just a call to our office on 020 8746 4432, we can discuss with you and advice you on the most suitable vehicle removal vans available for your requirements. As a long established local family van hire company we make it of our utmost importance to make sure that our prices are very competitive, and we will always work with you to ensure that you receive the very best value for money and customer satisfaction. Hiring a moving van from us will guarantee that you receive peace of mind in the knowledge that all of our removal vehicles have full insurance, and in the unlikely event of our vehicle developing a problem you can rely on our excellent breakdown cover to take over and get you back on the road speedily, and if the problem is not resolved quickly we will replace the vehicle immediately at our expense, not yours. We can offer you various deals including unlimited miles options as well as both long duration rental, and if you require a simple 9-5 commercial van we can also provide this without a problem. Whatever your needs, our promise is to satisfy, and that is exactly what we will guarantee to do. If at any point during your hire period you are in any way dissatisfied with our service, please let us know as soon as possible and we will respond to your problem instantly. If its removal van hire that you need you will find that our specialist removal vans will be more than adequate and by using the right vehicle for the job it will make the job much easier. If you are in any way confused as to what type of van hire package you will need, don’t worry and either visit or call us at Man with Vans and one of our advisers will assist you in making absolutely sure that you get what you need. We will supply what you would expect from your van hire experience with us and you can start now by calling us on 020 8746 4432 to tell us what type of moving van you are looking for, what you intend to use it for and for how long. We will be honored to help you in any way possible by providing a commercial van that is both affordable and suitable to your every need. Ask us about our latest offers for weekend rates along with our exclusive drop off and pick up service. For your convenience we accept payment by cash or credit card with all prices quoted including our fully comprehensive insurance and breakdown cover. 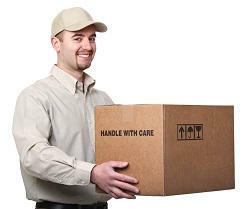 Description: Guaranteed high-quality moving services and the cheapest man with van hire option available across London. Contact us on 020 8746 4432 right now! Copyright © 2014 - 2015 Man with Vans. All Rights Reserved.